This is a man’s list alright! 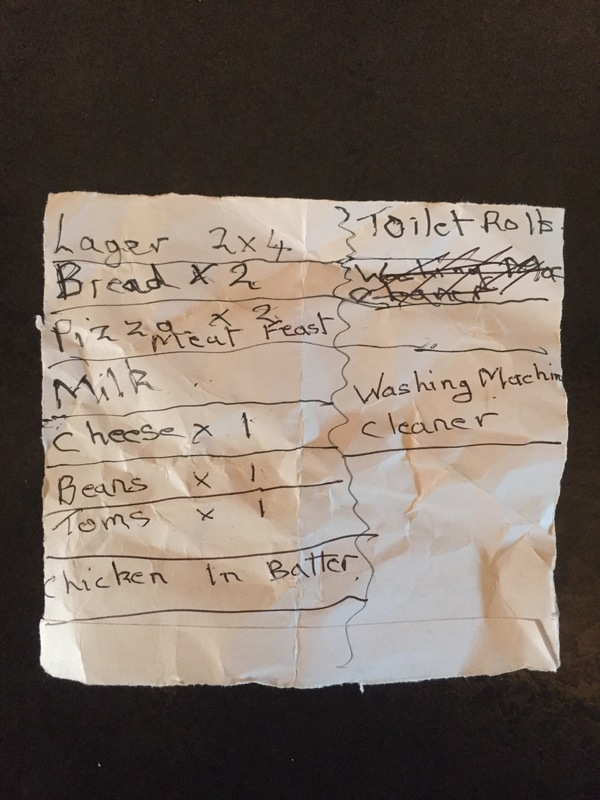 Beer, battered chicken, 2 meat feast pizzas, baked beans, cheese, toilet roll and one tomato. The basics of life, eh? definitely a man’s list. A single one I would say. Likely to stay that way too.